How yummy does this dish look? 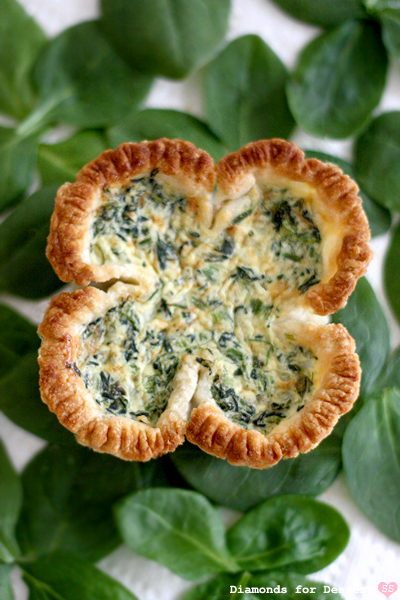 I don’t know about you, but this is now on the menu for St. Patrick’s Day! 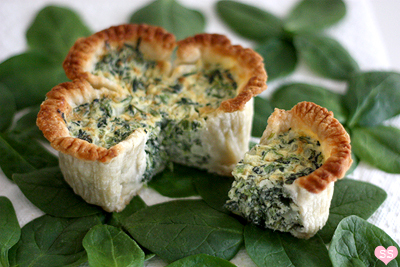 This recipe is great because it makes 3 large quiches or 12 mini quiches! Whatever is left over can be frozen and served at a later date. Check out the photo tutorial on how to make the clover design. 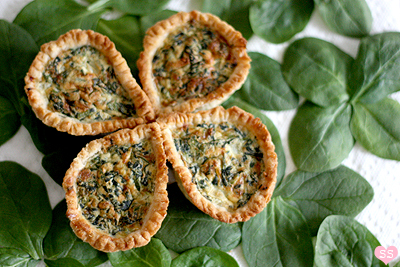 There are actually two options: large shamrock or shamrock made out of individual leaves. Either way you could purchase these baking tins at a neighborhood dollar store. ***I would suggest if you are trying to make this on a budget to use milk instead of half-and-half and cheddar cheese in place of gruyere. If you like this, you may be interested in Rainbow Pancakes.